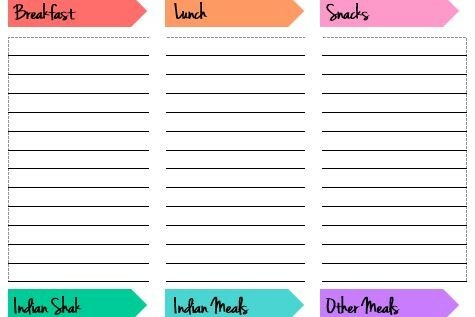 PIN IT!AHHHHH the dreaded task of meal planning. All three of us have noticed that when it comes to meal planning, the hardest part is trying to remember what you know how to make! With that said, we have decided to share some resources to make life easier in this three part series! STEP 1: Write it ALL down. Nina and her OCD self decided to come up with two options for writing down all the things she knows how to make, like EVERYTHING! This has not only helped her in terms of organizing different meal options, but turns out she realized she knows how to make a lot more than the three meal rotation she had been using for her kids! And every time she thinks of a new thing, she just adds it to the list. And include your kids by asking them their favorite meals to make sure they get a say too! 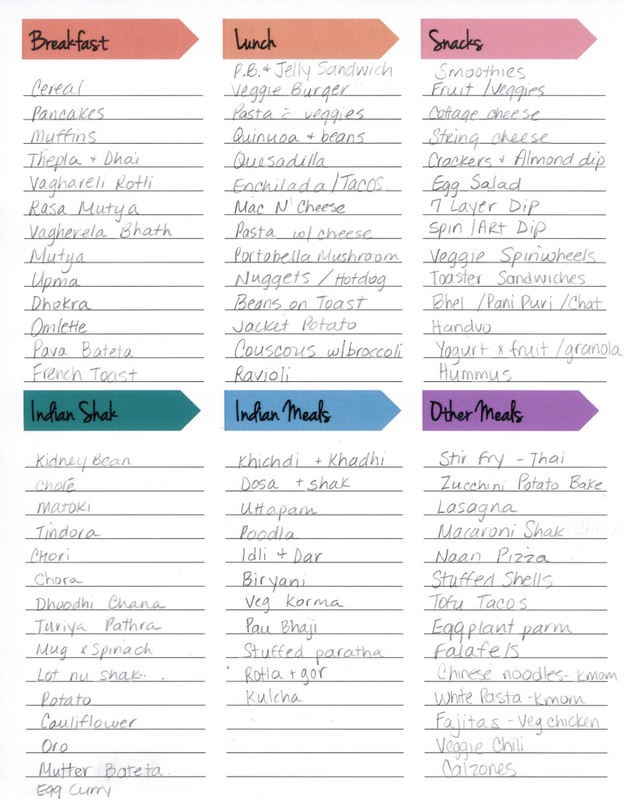 So your homework is to print out the free downloadable meal list templates below and start brainstorming all the things you know how to make… There are two versions below: a simple one (pictured above) and a more detailed version with more genres of food. Each is a Word document that you can edit to your liking. 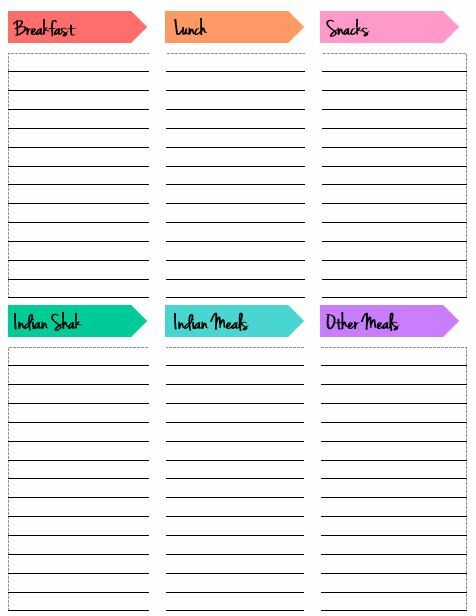 We have also included a template for all those NEW recipes you have been dying to try. Simply print it out, put it into a 3 ring binder and start collecting the recipes behind it! Start this meal planning with us and we’re sure it will make your cooking lives must easier – it’s definitely made us a lot more efficient and creative too! Part II’s weekly sample menu and Part III’s monthly dinner menu will surely give you solid tools to help make meal planning from now on a breeeeeze!